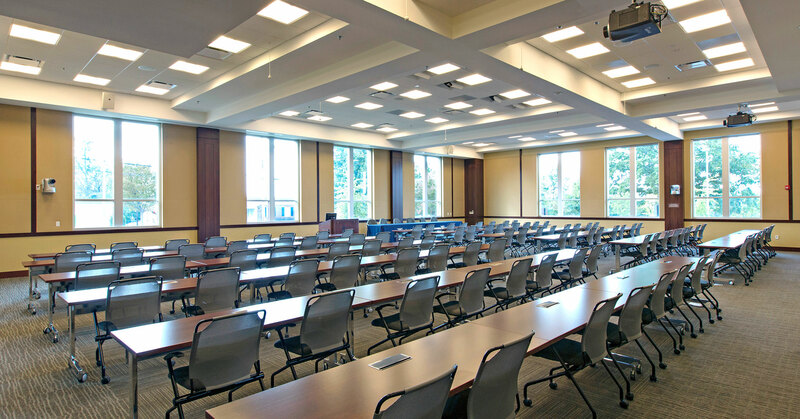 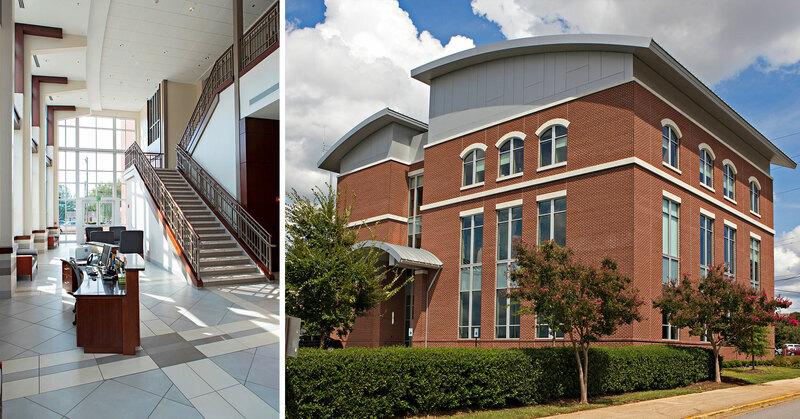 Encompassing over 18,000 square feet over three-floors, the South Carolina Bar and Conference Center features a dynamic lobby, auditorium/training space for 100 people and a library. 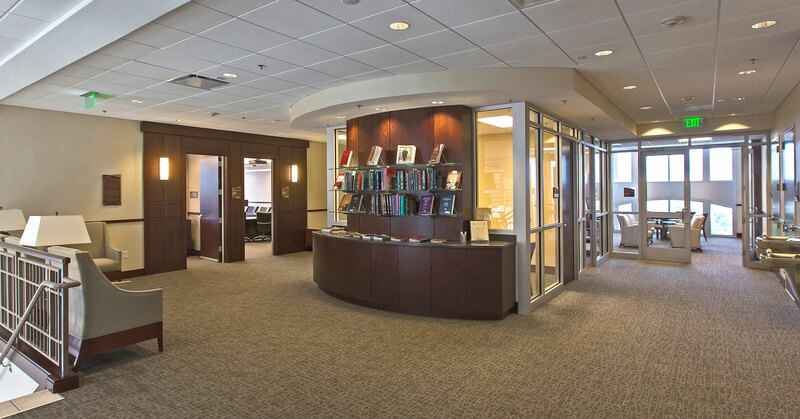 To meet the needs of the legal community, the design intent was to offer a space that promoted interaction and collaboration during educational programs and conferences. 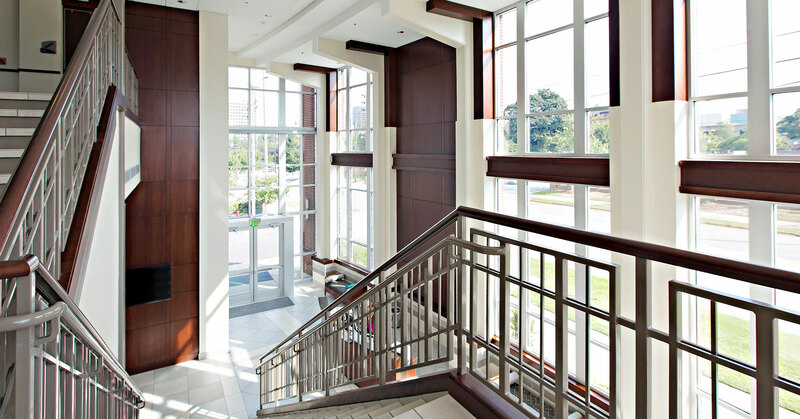 Additionally, audio-visual systems were integrated into the interior architecture of the building, allowing the Bar to broadcast to remote locations throughout the state.